This was an interesting historical novel with engaging characters and numberous tidbits that sent me scurrying to the internet to cross-check dates and facts. David Ebershoff used a parallel construct to tell two stories at once - both embued with a deep sense of involvement with characters the reader comes to care for and relate to on several levels. If I were independently wealthy, I would hand this book to every high school student! They might as well learn from the start what an astounding priviledge we all hold. The Vote by Sybil Downing turns the spotlight on unlikely heroes in the early 1900's. 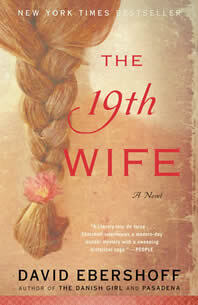 This historical fiction draws the reader into the issue of woman suffrage in a very personal way. The reader learns first hand just what it took to give women the right to vote. There is no way to take voting for granted ever again. See this video of the author, Markkus Zusak. The unique point of view grabbed my attention on the first page and I raced throught this book in record time! Vivid, witty, sad, astonishingly colorful, it has become my favorite book, knocking many worthy tomes out of top ranking in my heart. This beautifully illustrated story reminds us that children need to be ... heard. 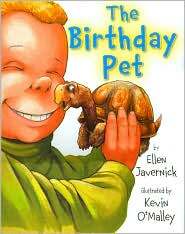 Makes a totally delightful birthday gift for any age person.